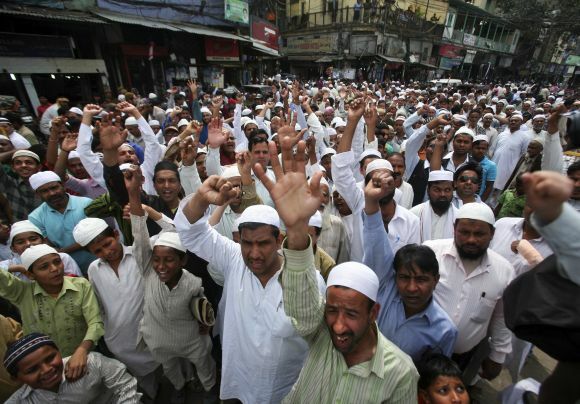 The All India Muslim Majlis-e-Mushawarat, umbrella body of Muslim organisations across India, has undertaken a mammoth project to prepare a white paper on the state of Indian Muslims languishing in jails in connection with various cases of terror. After this report is out "not one Muslim will vote for the Congress," warns Dr Zafarul Islam Khan, president of the AIMM. "All Muslims, after reading this white paper, will realise how much their people have suffered. The only option left would be to vote for regional parties," Dr Khan said, and added that the entire political scenario in the country can change once this project is completed. In the next six months one could expect a major backlash from the Muslim community in India and this time it the message would be conveyed during the electoral battle. "There are communal-minded elements in the Union home ministry and the Intelligence Bureau who are implicating Indian Muslims in fake cases of terror, and this is to apply undue pressure on the community," he says. Dr Khan points out that while statistics reveals that India's population comprises more than 80 per cent Hindu, with 13.4 per cent Muslims and 2.4 per cent Christians, prison statistics show that this ratio is not reflected in India's jails. "There is no breakdown of the nature of the crimes for which Muslims are incarcerated. 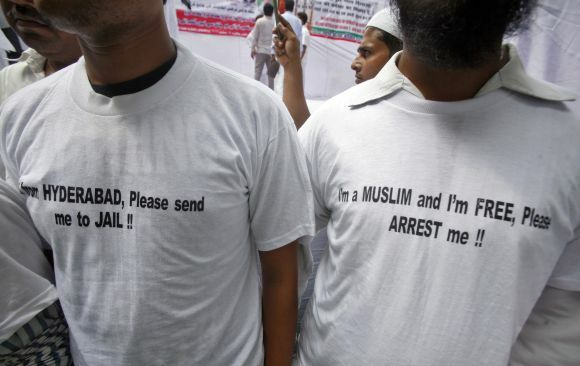 There are 102,652 Muslims in jail, the majority of whom are not imprisoned for terrorism. West Bengal, Uttar Pradesh and Bihar have the fewest Muslims in government employment," Dr Khan pionts out. The preparation of the white paper is being undertaken by almost all Muslim bodies across the country who are working overtime to ensure that the paper is put out in time. "We have waited enough for justice. The government or the media is not even listening to us and hence this paper will help us expose the system and get justice for all these boys who are languishing in jail either on fake or no charges," Dr Khan points out. "As per the Justice Rajinder Sachar report, the states with the most disproportionate amount of Muslims in jail are Maharashtra, Gujarat and Karnataka. In Maharashtra, Muslims account for 10.6 per cent of the general population, yet they comprise 32.4 per cent of the prison population. For those incarcerated on terms of less than a year, the figure is higher -- 42 per cent of prisoners on short-term sentences in the state are Muslim. In Gujarat, where Muslims account for 9.06 per cent of the populace, they account for 25 per cent of all prison inmates. Karnataka's population comprises 12.23 per cent Muslims, yet its jail population is 17.5 per cent Muslim." Dr Khan says that for years now Indian Muslims have been raising their voice against this injustice. 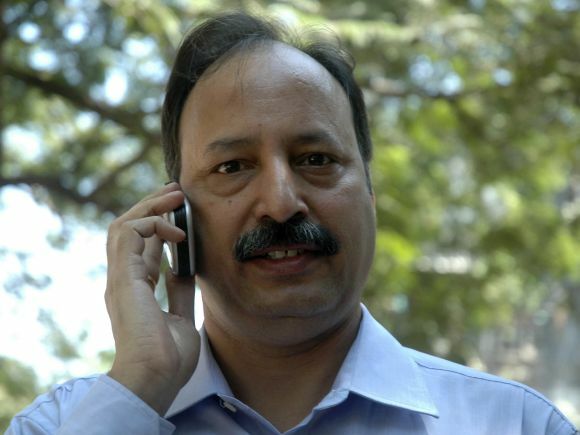 "We had a ray of hope when (slain Maharashtra Anti Terrorism Squad chief) Hemant Karkare began the investigation and exposed the real culprits. 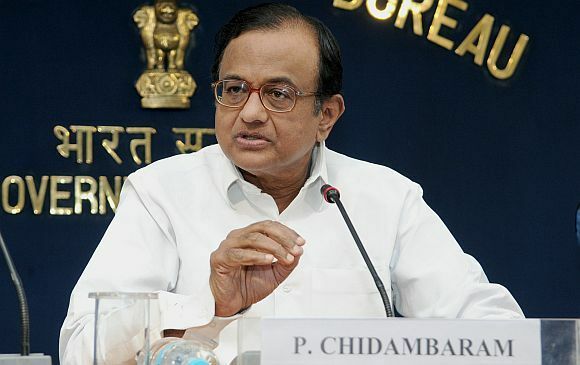 However, after his death and the breaking out of the 2G scam, (Home Minister) P Chidambaram decided to take a U-turn and in order to please a few, started targeting innocent Muslims," he alleges. Through the white paper the AIMM hopes to apply pressure on the government and also reach out to the media and human rights organisations across the world. "We thought there was a need to put up such a comprehensive report and create awareness among the people and politicians," Dr Khan says. "What is going on today is a fake trial by the IB. Let me clarify that this paper is not about safeguarding what the Pakistanis are doing. We are not concerned with that and it is also not about supporting the Pakistani battle in Kashmir. That is for the Indian government to take care of since it concerns foreign policy. Our concern is, why are innocent Indian Muslims being dragged into fake cases of terror," he says. "Let me tell you that the Indian Mujahideen has been created by the IB and the so-called mails that were sent out after the blasts were nothing but a creation of Indian intelligence," Dr Khan further alleged. "I am not saying all Indian Muslims are angels. But I would also like to add that the hype that has been created in the name of the Indian Mujahideen and its Azamgarh, Darbhanga and Bhatkal modules has only led to scores of innocent Muslims landing in jail," he says. The media is just not listening to Muslims, says Dr Khan." They are just printing IB handouts. Let the media go and investigate. They will see for themselves that Indian Muslims cannot be part of such a large conspiracy which they are being accused of." 'The manner in which the youth have been tortured is sad and, trust me, the government has played with their lives a bit too much. There is going to be the biggest backlash by the Indian Muslims come 2014. Not a single Muslim in India is going to vote for the Congress. They hate the policy of the Congress, and Chidambaram in particular," he says. "This was an agenda that was started by the BJP and is now being followed by the Congress. All Muslims after reading this white paper will realise how much their people have suffered. The only option left would be to vote for regional parties," Dr Khan points out.